This is a type designer’s blog and I have not intended to post anything non-typographic, but I’d like to share my thoughts on iPhone 5 because I hate its design; or more specifically, its screen size. As you may know, Apple has stuck with the 3.5 inch screen with screen resolution 640*960 until iPhone 4S, but it enlarged the screen size by 256 pixels vertically in the latest product, iPhone 5. I totally agree with that, except for the last part. He went on to explain how they defined its screen dimension: They wanted to enlarge the screen (obviously pushed by the competing products), but wanted to ease the trouble of UI conversion for software developers. They also wanted 16:9 aspect ratio. Therefore they decided to enlarge it vertically. Okay, when did the thumb involve in this process? Apparently never. I strongly agree with Schiller that human body should define the dimension or weight of tools. Therefore I pay no attention to a advertisement phrase like “thinnest ever” or “lightest ever” (which Panasonic loves to pursue by the way). I have seen many bad products that defies human factor, such as Sony’s Memory Stick mini or Japan-exclusive mobile phone called Premini. 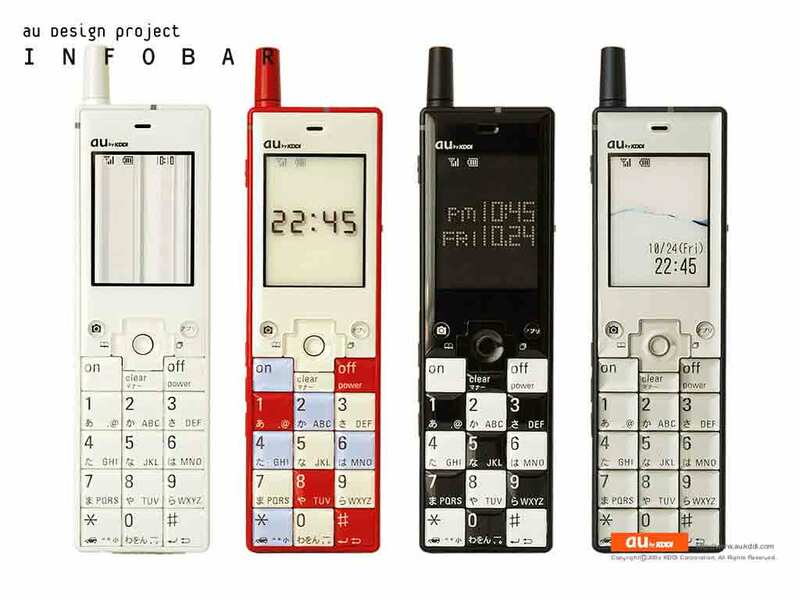 Personally the most analogous product to iPhone 5 is Infobar, which was also Japan-exclusive mobile phone. It was beautifully designed, and one of the most popular phone of that time (around 2007). What I hated about its design was that it was so hard to reach every key without moving it in your palm. If you’re using it with your right hand, how am I supposed to reach # and D-pad by moving your thumb only? After the presentation, I was wondering if what I felt with this stupid product would also be present in iPhone 5. How can a company like Apple screw the users this way? I went to Apple Store last Saturday to feel it, and alas it came true. It was impossible to reach the top of the screen and the home button in the same position. You might say that my thumb is just shorter than average, but mine is actually longer than Japanese average. Also I saw that Apple itself demonstrates how ‘nicely’ it works with your thumb. If you think that my point has been disproved by this, you didn’t realise that you were cheated. I compared two shots from the ad and found that this hand actually slides down when it presses home button. In short, Apple agrees that iPhone 5 is less comfortable than 4 or 4S. It may not sound like a big deal, but surely I don‘t want a phone with which I have to constantly change the position. If still you want it, go to Apple Store and make sure you can use it comfortably. Move mouse cursor on the image to see the ‘top’ and ‘bottom’ position. The ad is edited, so you actually don’t see the palm on the move. So much for the magical device; it doesn’t extend. What is truly magical here is FinalCut Pro. Ironically it comes with newly designed earphone called EarPods, which was made from 3D scans of hundreds of human ears. I cannot help but think Apple should have taken the same approach in deciding the screen size. That’s the human-centered design, isn’t it? Until today I have been using iPhone 4 and never noticed how comfortable its screen size was. I wanted to replace this because its sleep button is dead and home button is half dead. Now that iOS 6 is a piece of crap (specifically that infamous map) and hardware is also a piece of crap, I guess the best solution is to get iPhone 4S as soon as possible, while there is a chance that those are still iOS5. To me 4S is better enough, but I dread the day when I will have to start to use 4 inch screen, which might happen in three years or so, followed by the surge of even crappier stuff.